Dimethicone crosspolymer is a silicone derivative that functions as a skin and hair conditioning agent, film-forming agent, thickening agent, and texture enhancer in cosmetics and personal care products. Dimethicone crosspolymer is a type of silicone. Silicones are synthetic polymers made up of repeating units of siloxane (elemental silicon and oxygen), which is why silicones may also be referred to as polysiloxanes. Often, the terms “silicone” and “silicon” are mistakenly used interchangeably, when they are actually quite different. Silicon is the 14th element on the periodic table and the second most abundant element in the earth’s crust, after oxygen. In contrast, silicones are always synthetically produced. Dimethicone crosspolymer can be classified as a silicone elastomer gel. It consists of crosslinked dimethicone, which means the dimethicone molecules are chemically joined by a covalent bond. Dimethicone crosspolymer is supplied in the form of swollen gels. The term “crosspolymer” is derived from the International Nomenclature of Cosmetic Ingredients (INCI) name for silicone elastomer. This specified INCI name for silicone elastomer was given during ‘Organosilicone Nomenclature Conventions’ issued August 13, 1999. Silicone elastomer gels, such as dimethicone crosspolymer, are widely used in both skin and hair care products, including moisturizers, conditioners, sunscreens, antiperspirants, cosmetics, etc. As a class, silicones improve the feel, appearance, and performance of products. They act as silky moisturizers, conditioners, solvents, and delivery agents for other ingredients, as well as improve product spreadability. Silicones have a structure that resembles a molecular lattice with wide spaces between each molecule. Upon application to the skin, this lattice enables silicones to form a film on the surface while still allowing skin to “breathe”. Oxygen, nitrogen, and other nutrients can still pass through the film formed by silicones. However, most silicones do not allow water to pass through, which is an ideal quality for preventing dry, dehydrated skin. More specifically, when dimethicone crosspolymer is applied to the skin, the film serves to develop a layer in which perfumes or active ingredients can be contained. This property enables dimethicone crosspolymer to deliver controlled release characteristics and provide long lasting effects. Additionally, dimethicone crosspolymer reduces the tackiness of a given formulation. It imparts an exceptionally desirable skin-feel that is dry and non-greasy, yet silky smooth. Dimethicone crosspolymer can also serve to temporarily diminish the appearance of unsightly fine wrinkles, thus providing a smoother skin complexion. These same conditioning properties make dimethicone crosspolymer an excellent ingredient for hair care products, such as conditioners and leave-in serums. It offers a controlled conditioning effect to leave unhealthy, damaged hair looking and feeling more silky and smooth. Dimethicone crosspolymer functions as a thickening agent in the preparation of water-in-silicone formulations by increasing the viscosity. Additionally, dimethicone crosspolymer can act as a stabilizing agent due to its natural compatibility with a variety of lipophilic active ingredients, for example, perfumes, UV filters, anti-aging actives. 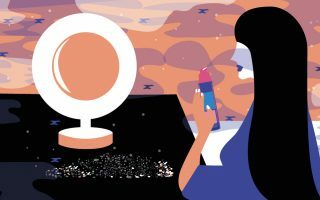 The Cosmetic Ingredient Review (CIR) Expert Panel reviewed the safety of 62 dimethicone crosspolymer ingredients as used in cosmetics. The Panel reviewed available animal and human data related to these polymers and addressed the issue of residual monomers. The Panel concluded that these dimethicone crosspolymer ingredients are safe in the current practices of use. Despite approval by the CIR Expert Panel, silicones have received a negative connotation in the cosmetic industry due to claims that they are unsafe for topical use. 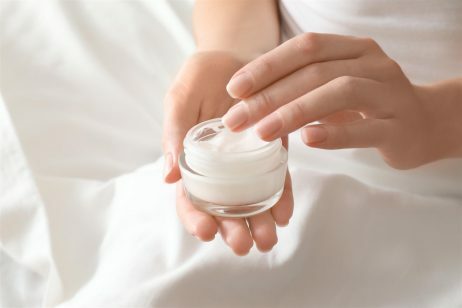 There are rumors that suggest topically applied silicones can lead to chronic diseases, such as rheumatoid arthritis, lupus, scleroderma, chronic fatigue, and even cancer. However, it is not possible for topical silicones to cause or worsen any of these diseases because their molecules are too large to penetrate the skin, preventing them from entering the bloodstream. The claim that silicones can bioaccumulate (build up) in our bodies is also false since their size prevents them from being able to pass through cell membranes, a key requirement for bioaccumulation. Furthermore, the large molecular size of silicones dispels the claim that these ingredients are unsafe for topical use because they are allergens. If a substance cannot penetrate the skin, it cannot react with cells of the immune system. Thus, silicones (including dimethicone crosspolymer) are not allergens. In fact, according to Skin Inc., silicones are so biologically inert when in contact with the skin, silicones are now replacing latex, a common allergen in adhesives, gloves, and a wide array of other items. References: Personal Care Magazine, “Selecting The Perfect Silicone For Your Formulation”, 2014, Int J Toxicol. 2014 May 26;33(2 suppl):65S-115S.